Celebrating its five years in the Philippines, Spotify also celebrates Original Pinoy Music (OPM) with the launch of Spotify Jams: OPM Love Songs campaign. The music streaming platform tapped today's top artists – IV of Spades, Ben&Ben, Moira Dela Torre, juan karlos, Silent Sanctuary and Sarah Geronimo – to cover the biggest OPM love songs of the past. For the whole month of February, Spotify will be releasing the collaboration they did with these local artists: Ikaw Ang Aking Mahal by VST & Company performed by juan karlos (February 8), Naaalala Ka by Rey Valera performed by Moira Dela Torre (February 8), 214 by Rivermaya performed by Sarah Geronimo (February 14), Pangako by Regine Velasquez performed by Silent Sanctuary (February 14), Beautiful Girl by Jose Mari Chan performed by Ben&Ben (February 22) and Kung Ayaw Mo Wag Mo by Rivermaya performed by IV of Spades (February 22). 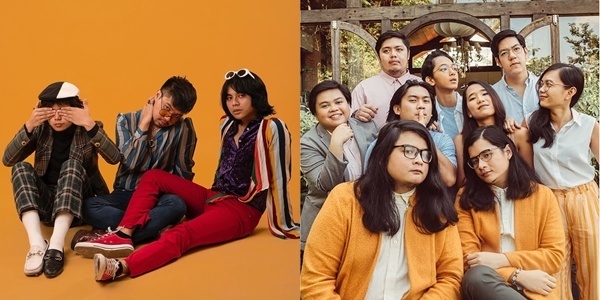 At the press launch of Spotify's Tatak Pinoy playlist, we had the chance to talk to members of IV of Spades and Ben&Ben where they shared their current LSS. Are you listening to the same songs as your favorites?